NEWPORT BEACH — The sale of Newport Harbor’s Balboa Bay Club has reportedly fallen through. The buyer, Hong Kong businessman Winston Chung, was said to be unable to come up with the funds necessary to complete the $174.5 million sale. Chung, who made his fortune in battery and electric vehicle innovations in Shenzhen, China, has spent the past two years investing millions in Southern California businesses — including four specialty vehicle makers. In addition, he has donated $10 million to the University of California, Riverside to promote green power research. While he has been successful in many Southern California ventures, the Los Angeles Times reported Jan.17 that his recent investments have been hampered by Chinese regulators. They were reluctant to approve a $300 million investment in a Riverside-based motor home manufacturer or his purchase of Balboa Bay Club. In August 2011, Chung, president of Seven-One Capital-Business, made a nonrefundable $4 million down payment to purchase International Bay Clubs Inc. (IBC), which owns and operates both the 60-year-old Balboa Bay Club (including the adjacent 131-slip marina) and the Newport Beach Country Club. Peter Bretschger, co-president of marketing at IBC, said that Chung couldn’t close the transaction because the government was blocking his ability to take funds out of China. “There’s a concern about how much wealth is being transferred out of the country,” Bretschger said. The deal was terminated Jan. 12, and 40-year IBC owner Beverly Ray Parkhurst has begun looking at offers from other buyers. The club is currently in its 10th year of a 50-year lease. Around $65 million in renovations were completed at Balboa Bay Club eight years ago, and a current expansion of Newport Beach County Club to include a 52,000-square-foot clubhouse — double the size of the original clubhouse — is planned. Bretschger added that the original terms for the sale of the club to Chung will be available, if he is able to gain access to the necessary funds to close the deal at a later date. 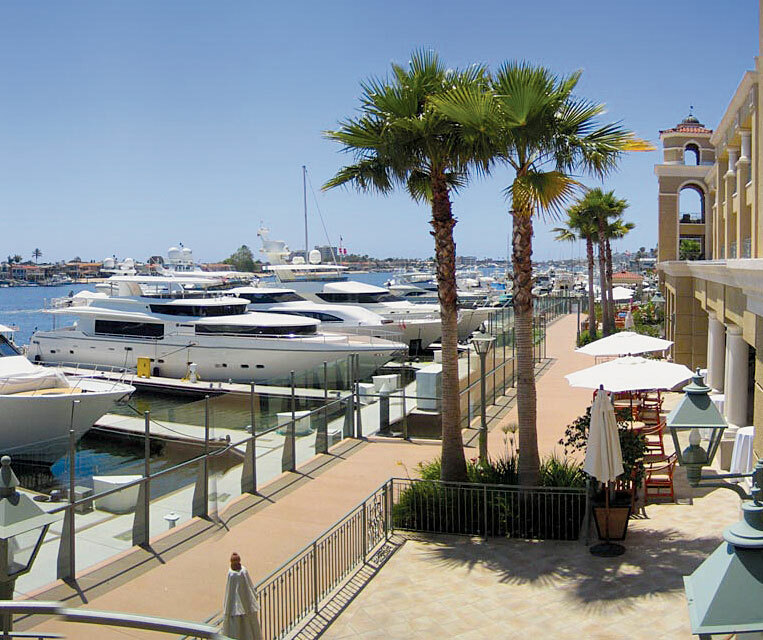 Balboa Bay Club is located on Mariner’s Mile, at 1221 W. Coast Highway, and includes 160 hotel rooms, 145 apartments and a marina with concrete docks and slips for boats from 20 to 100 feet in length.